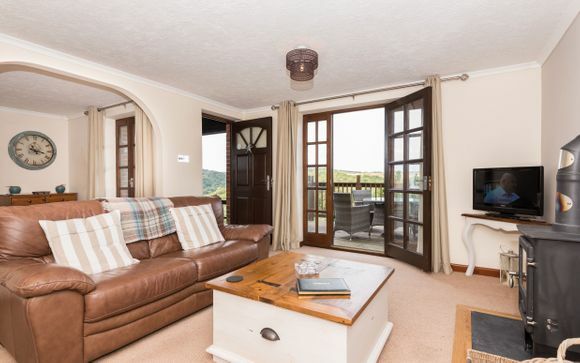 A sensational location - in the luscious green countryside and overlooking the picturesque Looe River. Oozing cosy charm, this cottage is sumptuously decorated and fitted with superb modern amenities. Enjoy fabulous local pubs, great walks and cuddle up around the toasty woodburner! 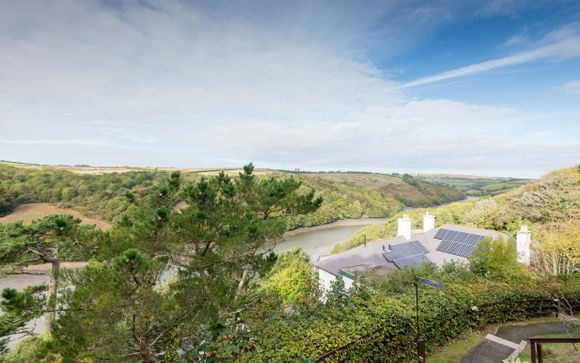 This offer is based on a 2 Bedroom Cottage for up to 4 People on a self-catering stay. A fully equipped kitchen is provided. 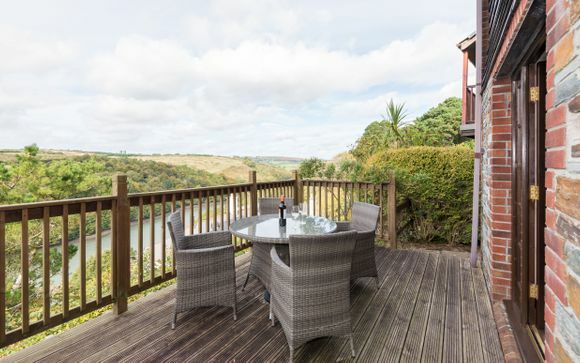 Situated on a hillside with magnificent views of Looe River, this cottage offers luxury accommodation for four. The good size lounge on the ground floor is beautifully furnished with comfortable leather sofas and a wood burning stove. Patio doors lead out on to the furnished deck and patio areas, where guests can sit and enjoy the magnificent views. Also on the ground floor is the dining area with a few steps leading up to the mezzanine level kitchen. 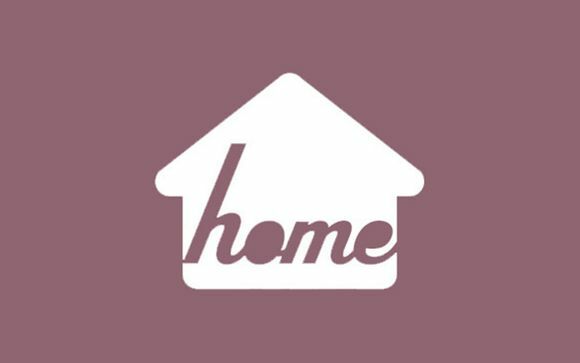 Fully fitted with electric oven, gas hob, extractor, dishwasher, fridge/freezer and microwave, the kitchen is well equipped and has a breakfast bar with four chairs. There is also a utility room on this level with washer/drier and a separate wc. Upstairs is the tastefully furnished master bedroom with king size bed which has access on to the balcony from where guests can again enjoy the wonderful views. The luxury en-suite bathroom has a large bath and separate walk in shower. The attractive twin room also has an en-suite with bath and shower over.